The holiday season, being one of the most stressful times of the year, can take its toll on your oral health. 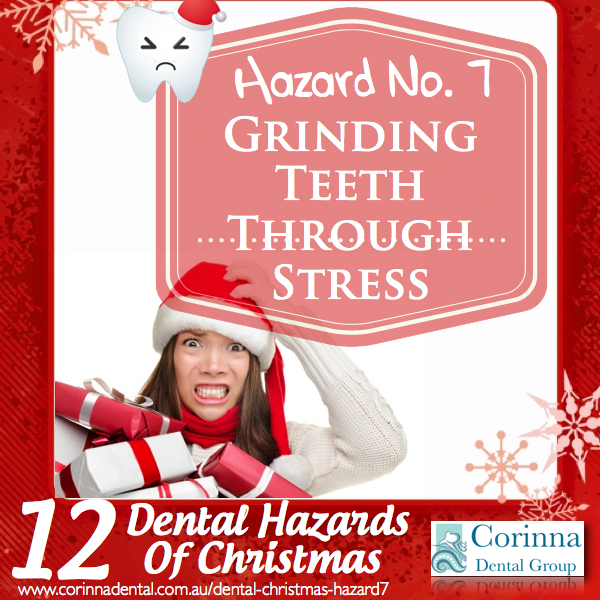 Stress can cause some people to grind their teeth, and this habit, over time, can cause a lot of damage! Teeth grinding causes the tips of the teeth to flatten or wear away. It can also cause teeth and fillings to chip, crack or breakaway entirely. Teeth can become sensitive or sore as a result. So, during this festive season, be aware of your stress levels and seek opportunities to relax! If you feel your teeth clenching, allow your jaw to relax so that they separate. If clenching your teeth starts to cause pain or damage to your teeth, make sure you give your dentist a call as soon as possible.